Two famous psychiatrists ought to understand the defense mechanism called "projection." 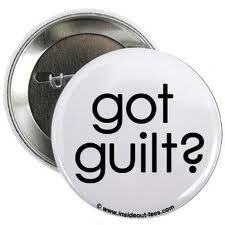 People use projection when they feel guilty about something--instead of admitting their guilt, they find somebody else to accuse. This is the key to explaining the latest twists in the scandal involving Charles Nemeroff and Alan Schatzberg. POGO (the Project on Government Oversight) has posted letters from Nemeroff and Schatzberg's attorneys here . Ironically, the two letters are verbatim replicas of each other, and yet are signed by two different attorneys--in other words, at least one of the letters was ghostwritten! Someone should complain to the American Bar Association. At any rate, the letters are not completely devoid of merit. Both POGO and the New York Times appear to have overinterpreted this letter from STI to Dr. Nemeroff. The letter, dated February 4, 1997, laid out a plan for how Sally Laden and Diane Coniglio were going to "develop" a textbook that was eventually published by the APA in 1999, titled "Recognition and Treatment of Psychiatric Disorders: A Psychopharmacology Handbook for Primary Care." In the letter, Diane Coniglio was identified as the "primary technical writer and project manager," and Sally Laden described herself as the "technical editor." Laden personally assured Dr. Nemeroff that "I will be working closely with Diane [Coniglio] at all times...."
It seems clear that Laden and Coniglio understood that their job was to write the entire first draft of the textbook--ie, to ghostwrite the book. Laden went on to provide a detailed timeline, which specified that three successive drafts would be written by the Coniglio/Laden team, and would be sent to both Nemeroff/Schatzberg and SmithKline Beecham for review. Both POGO and the New York Times can be be forgiven for having interpreted this letter as being pretty good evidence that the textbook was, in fact, written primarily by Coniglio and Laden, with plenty of input from SKB. But Nemeroff and Schatzberg are saying that they completely ignored this letter, that they wrote the book entirely on their own, and that Laden and Coniglio contributed in only the most menial of ways, by looking up references and such--no more than editorial gruntwork. Their lawyers are accusing POGO of causing "serious damage" to their clients' "personal and professional reputations." They have demanded corrections, retractions, apologies, and first-born sons. So far, both POGO and the New York Times have responded--to a degree. The New York Times posted this "correction" basically clarifying that the STI letter did not constitute solid evidence that ghostwriting actually occurred. POGO did something similar, amending both the letter they sent to NIH and their blog posting. But Nemeroff's and Schatzberg's lawyers still aren't satisfied, and responded with a second round of letters. They are stuck on, among other things, this demand that POGO formally "apologize" to Schatzberg: "Finally, your letter does not comment on Dr. Schatzberg's demand fro an apology in addition to the retractions. Please advise when and in what form the apologies from POGO and Mr. Thacker will be forthcoming." POGO has refused to apologize. "We, Charles Nemeroff and Alan Schatzberg, apologize for having collaborated with SmithKline Beecham in their funding of the 1999 textbook, "Recognition and Treatment of Psychiatric Disorders: A Psychopharmacology Handbook for Primary Care." This collaboration resulted in SKB formulating a plan for the ghostwriting of the book. While they did not actually write the textbook, we violated professional and academic ethics by manipulating the content of the book in order to encourage readers to choose Paxil over its chief rival, Zoloft, for the treatment of anxiety disorders. We did this by highlighting the positive studies regarding Paxil's efficacy, while simultaneously ignoring Paxil's negative side effects--side effects about which we were fully aware when we wrote the book." If they would like a timeline for the completion of this apology, I can invite Sally Laden and Diane Coniglio to help out. They both seem to be excellent silent partners. Talk about chutzpah. You'd think that after all the recent revelations of psychiatrists selling themselves out to the highest bidders, a drug company would think twice before waving wads of cash in front of their faces. And you’d hope that the psychiatrists would be slightly reluctant leap up and grab the loot. Not so on both counts. Sunovion, maker of the latest atypical antipsychotic to be approved by the FDA, Latuda (Lurasidone), recently sent out a round of emails to psychiatrists offering free winter trips to Miami, Dallas and Scottsdale. Oddly, I was one of the recipients—and in order to find out more details I played investigative journalist, pretending I was interested in the offer. Here’s what I found out. “On behalf of Sunovion Pharmaceuticals Inc., we are pleased to confirm your participation in the Latuda® (lurasidone HCI) tablets Speakers' Bureau Meeting, A New Atypical Antipsychotic Agent for the Treatment of Schizophrenia on Friday, December 10 - Saturday, December 11, 2010 in Miami, FL. We will be sending you additional registration details shortly. Of course, I have no way of knowing if I was rejected because they finally googled me, or because there truly was an "overwhelming response." If they were telling me the truth, I suppose I should not be surprised, since according to the largest existing database of hired guns by ProPublica, psychiatrists top the lists of doctors vying for drug company cash (see Medscape's coverage of this dubious distinction here). If they were lying, my feeling’s aren’t hurt, particularly since I myself was being sneaky in pretending that I was interested in taking them up on their offer. At any rate, over the next few weeks, I’m sure I’ll hear more from various colleagues about how lavish the resorts are, about the amount of the “honorarium” that goes along with the trip (I’m guessing around $1500), and about whether these doctors have to promise to actually do anything in return for the trip. In the past, speaker’s bureau meetings were little more than bribes to get doctors to listen to “key opinion leaders” expound on a new drug. 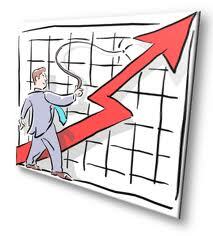 The return on that investment could then be measured by local drug reps using prescription data-mining technology. As befits a me-too drug, Sunovion is using the same old me-too strategies to manipulate medical opinion. Cash, pools, and room service work every time. So I finally got the book, ripped open the manila envelope from an Amazon reseller, and found out exactly what a $120,000 “unrestricted educational grant” will buy: an advertisement for Paxil. Not obvious, not blatant. But artfully crafted, subtle, smooth—more in the style of Nemeroff than Schatzberg. Nemeroff was clearly the mentor in this project. Much ink has been spilled about whether the book was or wasn’t ghostwritten by a PR firm called STI. This letter from STI to Dr. Nemeroff appears to be a smoking gun of evidence, yet Nemeroff, Schatzberg, and the American Psychiatric Association vehemently deny that this was ghostwritten. (Read the APA's denial here). Rumor has it that Schatzberg is sicking his attorneys on anyone who dares to suggest what seems to be crystal clear based on the documents. But who cares, really? If it was ghostwritten, that's unethical. If it wasn't ghostwritten, it's actually worse for these academics--because the final result is such a finely crafted piece of promotion that any reputable "author" should be embarrassed and ashamed. This is truly a case of "damned if you do, damned if you don't." You open the book, and the first thing that slaps your retina is a chapter on anxiety disorders. I’ve read a lot of psychiatry textbooks, probably over a hundred, and I can confidently report to you that I have never seen a textbook on general psychiatry (whether written for psychiatrists or PCPs) that begins with a big honking chapter on anxiety disorders. 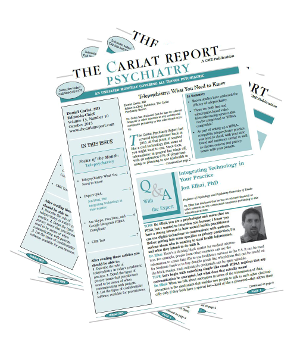 Most begin with tips on diagnosis, basic principles of psychopharmacology, mood disorders, or other topics. But they never begin with anxiety disorders. How could this possibly matter, you might ask? Because in 1999, the book's publication date, Paxil was in the midst of a blockbuster sweet spot, buoyed particularly by FDA's 1999 approval of the drug for social anxiety disorder. Like all good drug reps, Nemeroff & Schatzberg lead with their product's strength. 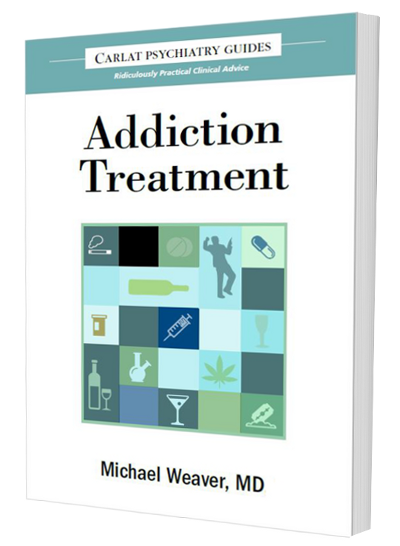 Thus, on page 18, we hear the rather startling statement that "social anxiety disorder is the most common anxiety disorder and the third most common psychiatric disorder in the US, preceded only by depression and alcohol dependence." That's based on a credulous acceptance of the inflated 13% prevalence figure for social anxiety that was published in 1994. This figure was also the basis of the famous "1 out 8 people have social phobia" line parroted by SmithKline Beecham in their marketing material at the time. Two pages later readers are reassured that there exists a solution to this public health catastrophe: "Currently, only one antidepressant (paroxetine) is FDA approved for the treatment of social anxiety disorder." Does this prove blatant bias? Is it deceptive? No on both counts. It just lays the groundwork, softening the mark, as a drug rep would say. The entire first chapter is positioned front and center as a way of creating a platform for a series of boasts about Paxil's efficacy. Someone made the decision to organize the book this way, and someone had a reason to do so. The actual deceptions begin in the chapter on antidepressants on page 77. Here's where Nemeroff and Schatzberg educate PCPs about the confusing array of antidepressants available. Then and now, if you were to ask your average psychiatrist how he or she chooses an SSRI, you would hear that they are equally effective, but that they differ based on side effect profiles. And since the late 1990s, it has been generally acknowledged that the SSRI with the most troublesome side effects is Paxil. But not according to Nemeroff and Schatzberg's Paxil-funded textbook. Taking a break from the world of general scientific knowledge, this chapter says, essentially, that all SSRIs have some side effects, and that any differences among them are minor. For example, both Prozac and Paxil have long been known to increase the levels of other drugs that patients may be taking. This is called "drug-drug interactions." In 1999, Paxil and Zoloft reps were sniping at one another over this issue. Zoloft reps were crowing about how "dirty" Paxil was, pointing out that Zoloft, at usual doses, caused hardly any drug drug interactions. Paxil reps, for their part, were desperately trying to downplay this. So how do Nemeroff and Schatzberg handle this issue? They create Table 47 on page 85, entitled “Common Drug Interactions with SSRIs”. Here, there is no distinction between Paxil and Zoloft. A primary care doctor would falsely conclude that there was no reason to favor Zoloft over Paxil in patients also taking medications like propranolol or Vicodin or amitryptyline. Based on this deceptive table, they might well have favored that wonderful anti-social anxiety drug, Paxil--with potentially serious medical consequences for their patients. Interestingly, several years later, when Nemeroff was paid by a different drug company, he had a financial incentive to play up Paxil’s drug interaction liabilities. In this CME article funded by Bristol-Myers Squibb to push their antidepressant EMSAM, here’s what Nemeroff and his co-authors had to say about SSRIs and drug interactions: "Not all antidepressants affect CYP enzymes. Antidepressants that do not substantially inhibit any CYP enzyme at their usual therapeutic doses include the SSRIs citalopram, escitalopram, and sertraline [Zoloft];… fluoxetine and paroxetine [Paxil] at 20 mg/day produce approximately a 500% increase in the AUC of CYP2D6 dependent drugs.” This article was eventually cited by ACCME as being blatantly biased in favor of EMSAM, and the company that produced it promptly went out of business. Not only did Nemeroff and Schatzberg omit data about Paxil's drug interaction dangers, they also neglected to discuss data available in 1999 showing that Paxil caused more sexual dysfunction, more weight gain, and more sedation than other SSRIs. 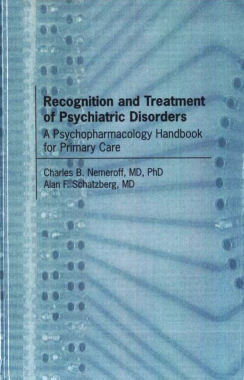 To sum up, in 1999, Nemeroff and Schatzberg published a textbook called "Recognition and Treatment of Psychiatric Disorders: A Psychopharmacology Handbook for Primary Care." It was funded by SmithKline Beecham with a $120,000 "unrestricted educational grant." Documents posted on the internet hint strongly that the book was ghostwritten by a PR firm hired by the drug company. And an analysis of the book's content shows that it was crafted to encourage primary care doctors to prescribe Paxil preferentially over its competitors, such as Zoloft. This is yet another heaping of shame upon psychiatry. Rather than sending bullying lawyer letters to whistleblowers, I suggest that the authors issue the following statement: "We hereby apologize to the medical community and to the public for having published this textbook. In 1999, financial relationships with the pharmaceutical industry of this type were considered acceptable. In retrospect, by having legitimized what was essentially a promotional document for SmithKline Beecham, we realize that we did a disservice to the physicians who read the book, and who falsely assumed that the information was objective. 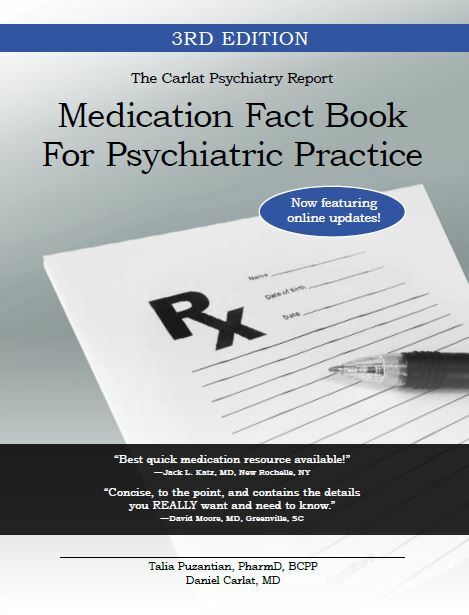 We, in conjunction with the American Psychiatric Association, officially retract this textbook in its entirety." It's a Textbook! It's an Ad! It's Nemeroff/Schatzberg! Drs. Nemeroff and Schatzberg are back in the limelight, once again dragging the good name of psychiatry through the mud. According to today's New York Times, in 1999 SmithKline Beecham, the maker of Paxil, funded and ghost-wrote a textbook for which this ethically-challenged duo took credit. I imagine the conversation went something like this. N: "Let's write a textbook for primary care doctors." S: "Sounds good. But I don't have the the time." S: "So what do we do?" [N grins.] "Wait, you're not seriously considering--"
N: "Why not? What are you, suddenly Dr. Holier Than Thou?" S: "All right, don't remind me about Corcept and your 60,000 shares. What's your plan?" S: "The money will be nice, but who's going to write it?" N: "SmithKline will hire a PR firm to do it. All we have to do is review it and make some final tweaks." S: "But isn't that a little sleazy, even for us? You know they'll play down Paxil's disadvantages--that it causes more sexual side effects, more weight gain, and more drug interactions than Zoloft." N: "Some studies show that's true, others are more equivocal." S: [Lightly socks N on the shoulder] "Don't BS me, you sound like you're giving one of your Paxil drug talks to naive country docs." N: "You know me too well!" S: "As usual you're very persuasive. I'm in." N: "I think this is the continuation of a beautiful friendship...."
Is Your Doctor a "Return on Investment"? Ever since ProPublica published its disturbing database called Dollars for Docs, there have been many local news stories written about hired gun physicians who take money from drug companies to promote drugs to other doctors. A particularly good one was published yesterday in the SentinelSource by the Chicago Tribune's Judith Graham. The Tribune interviewed about a dozen physicians who make thousands per year from drug company talks, and, according to Graham, "all said they believe such ties have no effect on their medical practices." "Angie Maher, a former Michigan drug sales representative turned whistle-blower, described training sessions where psychologists and coaches would brief her on how to play on doctors’ vulnerabilities — their desire to feel important, their eagerness to be on the cutting edge — while working to boost sales. Each time a physician would give a talk, Maher would fill out a “return on investment” spreadsheet tracking prescription trends for all the doctors who attended the event. If sales went up, the speaker was asked to give another presentation, she said. If not, further invitations to speak would not be extended." That says it all. Time for these doctors to wake up and realize that have transformed themselves into ROIs for their sponsoring companies. According to Medscape, psychiatrists accept more money from drug companies for promotional speaking than any other specialty listed on ProPublica's Dollars for Docs database. 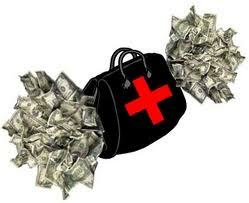 "Of the 384 physicians in the $100,000 group, 116 are psychiatrists. Leading all psychiatrists was Roueen Rafeyan, MD, in Chicago, Illinois, who received $203,936 from Eli Lilly, AstraZeneca, Johnson & Johnson, and Pfizer, mostly for professional education programs." While discouraging, this does not surprise me, since American psychiatry has fallen into a practice style that relies on medication at the expense of getting to know patients. The slogan of the modern psychiatrist has become "I prescribe, therefore I am," and drug companies are quick to approach them with offers of cash payments in return for prescriptions. While this deal is never made explicit (it would be considered an illegal kickback), in fact the expectations underlying these financial relationships are painfully clear. NPR Shows how "Thought Leaders" are really "Prescription Writers"
NPR ran a nice piece (which can be read here) scrutinizing whether drug companies hire speakers because they are experts, or rather because they prescribe a lot of their drugs and are good at getting other docs to follow suit. NPR then interviews a current drug rep who knows exactly why doctors such as Clawson are chosen as "thought leaders"--because they have lots of patients to whom they will prescribe lots of the company's drug. According to the rep: "I think nowadays a thought leader is defined as a physician with a large patient population who can write a lot of pharmaceutical drugs. Period." Furthermore, according to NPR's sources, reps very closely monitor the prescriptions of speakers after they are paid to give talks, and, according to one rep, paying a speaker $1500 to give a talk may well yield $100,000 or more in extra prescriptions. I'd be curious to get the prescription reports for Dr. Clawson's practice after he gives his talks! I'm sure his rep has the data squirreled away in the company laptop. The non-profit media organization ProPublica just announced a new website/database called Dollars for Docs. It lists cash payments made to 17,000 U.S. doctors by seven large drug companies. I’ve been browsing through the database and I have some thoughts about its strengths and weaknesses—and how it might be useful for patients. First, here’s what these journalists did. Rather than waiting for the provisions of the Physician’s Payments Sunshine Act to take effect in 2013 (this will be a public website listing all payments to doctors from all drug companies), they decided to take matters into their own hands. Seven companies currently post physician payment data, in most cases because they were forced to as part of legal settlements. The problems is that these websites vary in quality and usability, and of course the data is split up among seven different sites. ProPublica assigned their journalists the daunting task of combining all the data into a single spreadsheet, which is titled “Dollars for Docs”. There are two ways you can use it: either by searching for a specific doctor, or by browsing the entire database. There’s another way to use the Dollars for Docs database, although this is not spelled out on the website. If you want to browse for all the doctors in your city or state who are “on the take,” simply leave the “name” field blank, choose a state from the drop down menu, and click search. You’ll get a huge spreadsheet which is arranged alphabetically by last names of the doctors. By clicking on the various columns, you can sort the data by city, drug company, amount of money, or time period of the payments. This is a nice feature that is absent from most of the drug company databases. I sorted all Massachusetts docs by “amount” and found that one doctor received only $17 from Eli Lilly in the first quarter of 2010. This payment was described as “Advising/Consulting and International Education Programs.” I’m not sure what that means, but I can’t imagine that Lilly got too much “advising” work out of this particular doctor. But occasionally I came across the name of a colleague who I knew was ethically scrupulous. In one case, for example, a friend was listed as having received $20,000 from a company for “consulting.” He is a former medical school classmate of mine, and I know he does serious epidemiological research, and that he is uninterested in working with drug companies. The point, again, is that without getting more specific information it’s hard to know what to make of these numbers. Nonetheless, this database focuses on explicitly “promotional” activities, such as speaking and marketing consultation, and does not include payment for research studies. The vast majority of payments are for doctors who give “educational” talks to other doctors, presumably focusing on one of the drugs made by the funding company. Is it ethically “bad” for your doctor to give these talks? That’s controversial. Clearly, there are some good apples who will express their honest opinions about which drugs are best without being influenced by the allure of money. Nonetheless, doctors aren’t dumb, and they are acutely aware that they are serving two masters: the stockholders of the company and the doctors they are teaching. If they say bad things about the company’s drug, they’ll watch as the speaking invitations magically evaporate. The true malfeasance here is in the aggregated effect. The companies are using these legions of doctors to artificially manipulate medical discourse. Any doctor who participates in the enterprise knows exactly how they are being used. You decide whether this is “immoral” or not.